Shatakshi Group is equipped with a team of VISA EXPERTS is a professional firm providing the highest standards of service with excellent track record of success. Applications and documents of clients are prepared after acquiring thorough knowledge of “visa requirement policy” from different Embassies/High Commissions. Above all, our consistent daily contacts with the foreign missions in India, has laid strong foundation for sound relationships with the concerned authorities to keep us abreast with the current updates on VISA procedures and also gives us the advantage to expedite VISA processing. Our mission is to enable prospective VISA seekers to take advantage of our quality services. 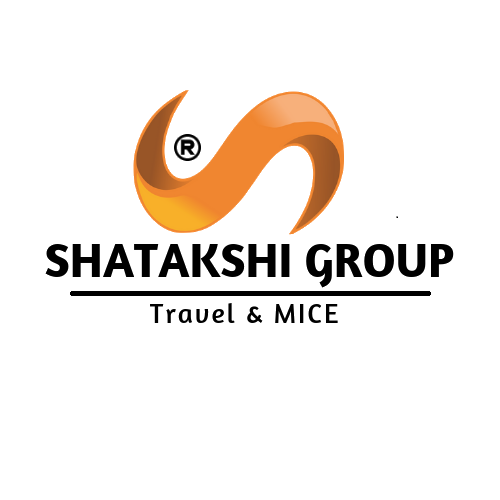 Shatakshi Group is a trusted VISA SERVICE PROVIDER with a sound reputation. The Company is a major source of solace for travel agents and corporate bodies from all over India for their VISA requirements. Shatakshi Group is equipped with a team of professional VISA experts help filling your application forms for foreign missions in India of your choice and drafting of your covering letter too. The team also helps in obtaining application submission dates and (if in case you are travelling for the first time to Europe/Western countries) will arrange for interview date and time. Safest and recommended form of carrying currency nowadays. These travel cards are pin protected, have substantially configurable spending limits and can be fully replaced in case stolen or lost. Most of the time, available at better rates than traveller cheques and currency notes (cash). Better than debit cards/ credit cards - With Prepaid Travel card you can avoid paying the 2% - 5% transaction fees (Visa/ MasterCard, issuing bank fees) that is charged when you use your international credit/debit card. Convenient - It can be re-loaded at any time. 24x7 customer care service. Travel cards (MasterCard or Visa) are readily accepted at most foreign establishments (hotels, stores etc.) without any additional charge. It does come with free insurance cover. Traveler's cheques are pre-printed fixed amount cheques that need to be signed twice, once upon delivery and once at the time of use, to encash. Traveler's cheques have become obsolete and is being replaced with prepaid travel cards. But still safer than the currency notes, traveler's cheques are also not accepted to many foreign establishments. Therefore, it is always recommended to have a prepaid travel cards instead of traveller's cheques. Wire Transfers are also a popular method of remitting money overseas. By this method, funds can be transferred electronically to a foreign bank account. This transfers are processed using the SWIFT protocol and demands the customer to submit the beneficiary's personal details and bank details.